Why Are Memes So Funny? We all know that the internet is awash in memes, from Grumpy Cat to Batman slapping Robin, to planking and the Ice Bucket Challenge, but have you ever asked yourself why memes are so funny? The answer includes three criteria identified by evolutionary biologist Richard Dawkins. The English scholar Richard Dawkins coined the term "meme" in 1976 in his book, "The Selfish Gene." Dawkins developed the concept as part of his theory of how cultural elements spread and change over time in the context of evolutionary biology. According to Dawkins, a meme is an element of culture, like an idea, behavior or practice, or style (think clothes but also art, music, communication, and performance) that spreads from one person to another through imitation. 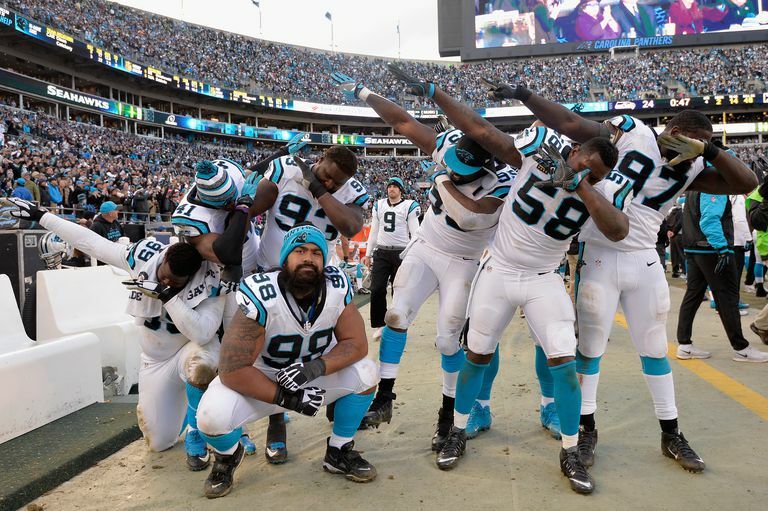 For example, the dab dance, or "dabbing" is a notable example of a performative meme that came to prominence during late 2016. Just as biological elements can be viral in nature, so too are memes, which in passing from person to person often evolve or mutate along the way. An internet meme exists online as a digital file and is spread specifically via the internet. Internet memes consist not just of image macros, which are a combination of image and text like this Grumpy Cat meme, but also as photos, videos, GIFs, and hashtags. Typically, internet memes are humorous, satirical, or ironic, which is a key part of what makes them appealing and encourages people to spread them. But humor isn't the only reason memes spread. Some depict a performance that showcases a skill, like music, dance, or physical fitness. Just like memes, as Dawkins defines them, are propagated person-to-person through imitation (or copying), so are internet memes, which are digitally copied and then spread anew by anyone who shares them online. Not just any old image with text slapped on it is a meme, despite what sites like MemeGenerator encourage you to believe. Elements of them, like the image or text, or actions performed in a video or depicted in a selfie, must be copied and spread en masse, including creative alterations, in order to qualify as a meme. According to Dawkins, three factors lead memes to be spread, copied, or adapted from person to person. For any cultural element or artifact to become a meme, it must fulfill all of these criteria. But, as Dawkins has pointed out, the most successful memes—those that do each of these three things better than others—are those that respond to a particular cultural need or that particularly resonate with contemporary circumstances. In other words, memes that capture the popular zeitgeist are those that are most successful because they are the ones that will capture our attention, inspire a sense of belonging and connectedness with the person who shared it with us, and encourage us to share with others the meme and the collective experience of viewing it and relating to it. Thinking sociologically, we could say that the most successful memes emerge out of and resonate with our collective consciousness, and because of this, they reinforce and strengthen social ties and ultimately, social solidarity. For something to become a meme, it must be replicable. This means many people, beyond the first person to do it, must be able to do it or recreate it, whether it's a real-life behavior or a digital file. The Ice Bucket Challenge, which went viral on social media during the summer of 2014, is an example of a meme that existed both off and online. Its replicability is based on the minimal skill and resources needed to reproduce it, and that it came with a script and instructions to follow. These factors made it easily replicable, which means it has the "copy fecundity" that Dawkins says is required of memes. The same can be said for all internet memes​ since digital technology, including computer software, internet connectivity, and social media platforms, make replicability easy. These also enable ease of creative adaptation, which allows a meme to evolve and increase its staying power. For something to become a meme it must spread fairly quickly in order to take hold within a culture. The video for Korean pop singer PSY's "Gangnam Style" song exemplifies how an internet meme can spread rapidly due to a combination of factors. In this case, the YouTube video was widely shared (for a time it was the most viewed video on the site). The creation of parody videos, reaction videos, and image memes based on the original made it take off. The video went viral within days of its release in 2012. Two years later, its virality was credited with "breaking" the YouTube counter, which hadn't been programmed to account for such high viewing numbers. Using Dawkins' criteria, it's clear there's a connection between copy-fidelity and fecundity, the speed at which something spreads. It's also clear that technological ability has a lot to do with both. Dawkins asserted that memes have longevity, or staying power. If something spreads but doesn't take hold in a culture as a practice or an ongoing reference point, then it ceases to exist. In biological terms, it goes extinct. The One Does Not Simply meme stands out as one that has had remarkable staying power, given that it was among the first internet memes to rise to popularity in the early 2000s. Originating from dialogue in the 2001 film "Lord of the Rings," the One Does Not Simply meme has been copied, shared, and adapted countless times over nearly two decades. In fact, digital technology can be credited with assisting the staying power of internet memes. Unlike memes that exist exclusively offline, digital technology means that internet memes can never really die. The digital copies of them will always exist somewhere. All it takes is a Google search to keep an internet meme alive, but only those that remain culturally relevant will persist. The Be Like Bill meme is an example of a meme with all three it-factors: copy-fidelity, fecundity, and longevity, or staying power. 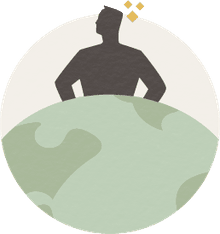 Rising to popularity through 2015 and peaking in early 2016, Be Like Bill fills the cultural need of venting frustration with offline and online behaviors, but particularly on social media, that have become common practice. Still, these behaviors are widely viewed as obnoxious or stupid. Bill serves as a counterpoint to the behavior in question by demonstrating what is framed as a reasonable or pragmatic alternative behavior. In this case, the Be Like Bill meme expresses frustration with people who get into arguments about things online they view as offensive. Rather than have a digital dispute about the matter, one should simply move on with life. The many variants of Be Like Bill that exist are a testament to its success in terms of Dawkins' three criteria for memes. Why Do So Many Hate the Selfie Craze?